Campsea Ashe Church has a ring of six bells which were restored and augmented ten years ago. The bellringers meet each Saturday at 9am and there is also a practice held there on the fourth Tuesday of the month. 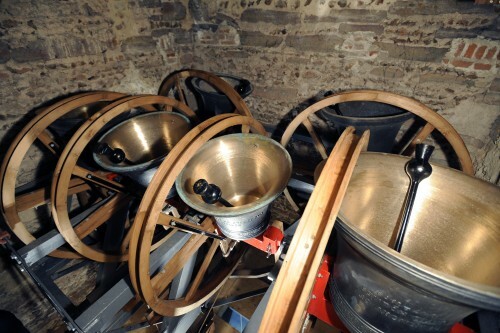 The bellringers are a jolly group of around twelve people of all ages. We welcome visitors and especially those who are interested in learning to ring! We ring for services at Campsea Ashe and other local churches. We go on an annual tour, usually in April, with the ringers from St. Mary’s in Woodbridge and sometimes join the local south-east district tours to other churches. For more information, please call Glenys Fear on 747177, or use the contact box below. A lot more information about the bells can be found here.